The federal government says about 1,800 Kansans who chose health insurance through HealthCare.gov could lose their coverage over questions about their citizenship or immigration status. The U.S. Department of Health and Human Services says the 1,800 Kansans had inconsistencies in their citizenship or immigration information when they signed up on the federal health insurance marketplace. The Lawrence Journal-World reports they must send in proof of their legal status by Sept. 5 or they will lose their coverage Sept. 30. Illegal immigrants are not eligible for tax subsidies offered on the marketplace to help pay for insurance. 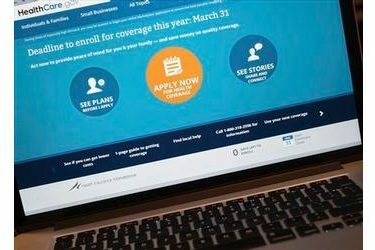 More than 57,000 Kansans signed up for insurance during the marketplace’s first open enrollment period, which ended in April.